Buon Appetito - How you doin'? 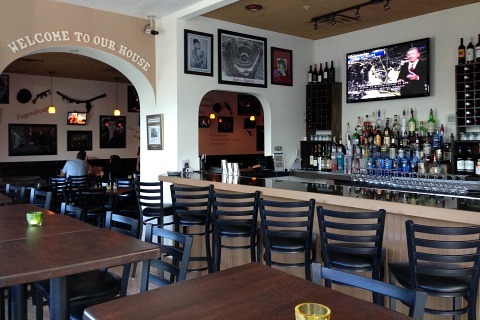 You'll be mighty fine after dining at this Italian neighborhood restaurant in Cape Coral! 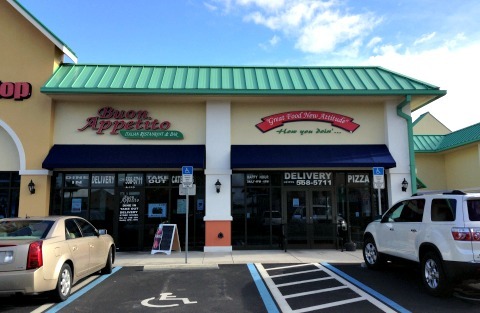 The restaurant is located where Brickhouse Pizza used to be, in the Surfside Shops shopping center, on Veterans and Surfside Blvds. Owners Denise and Gabe have 30+ years of experience in the business and a popular restaurant of the same name in Ft Myers. They opened up their latest location here in the Cape recently. Mmmmmmmmm ......... pasta, pizza, seafood, classic dishes, salads, and desserts are all inspired by Southern Italian cuisine, make sure you bring your appetite! 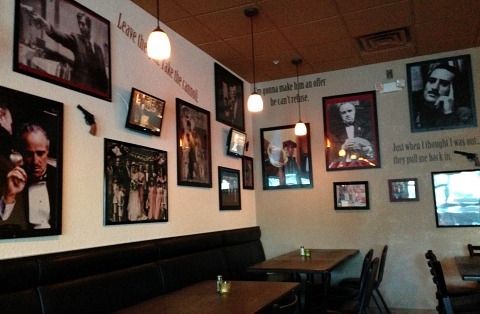 The restaurant has a cozy, intimate feeling with both tables and booths, low lighting and photos from various movies like The Godfather. 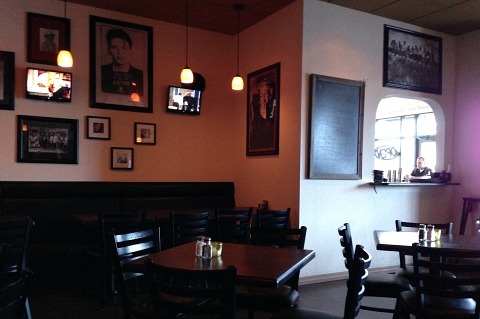 While I was there I noticed that the TV's placed around the walls were playing Dean Martin TV shows and I enjoyed my meal listening to the music of Frank Sinatra. There's a bar area in the front where I noticed signs for Texas Hold 'Em tournaments. They also have special music nights the second Thursday of the month. A nice touch served to each diner is the antipasto plate with bruschetta and rolled up salami and cheese. 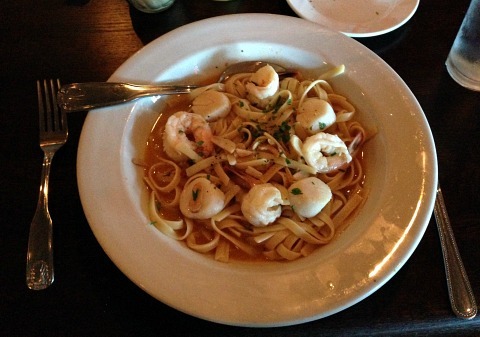 I was in the mood for scallops when I went and was so happy to see Shrimp and Scallops Scampi with fettuccine offered as a special ............. it was good, but very garlicky ........ whew! Get your pasta the way you like it ........... pick your sauce, your pasta, and your side. 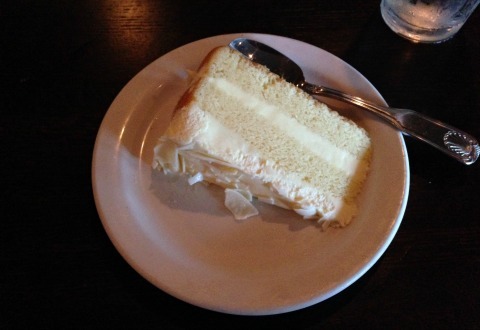 Save room for dessert, I had a slice of their luscious Limoncello cake, major yum!! Contact them for take out, delivery, and catering. Hours are Monday - Sunday from 11AM-10PM, and Sunday 12Noon-10PM.